Backcourt: Pierre Jackson is a young guard who leads this Baylor backcourt. Kansas State is led by Will Spradling and Rodney McGruder. K-State’s experience gives them a slight edge in this one. 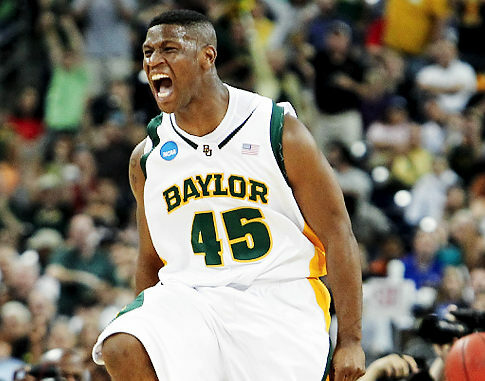 Frontcourt: Baylor, as mentioned before, is led by All-American candidate Perry Jones III. Two other big men that Baylor heavily relies on are Quincy Acy and McDonalds All American Quincy Miller. Even though the Wildcats have some big bodies to throw at them, Baylor gets a huge edge here. Bench: K-State gets a small edge here due to their incredible depth. Coaching/Intangibles: Baylor is undefeated and wants to stay that way. Plus coach Scott Drew is a pretty good coach. However, Frank Martin and the Cats will want to prove last Saturday’s win against Missouri was no fluke.